Elizabeth has a very broad commercial chancery practice. She frequently appears in the High Court, County Court and tribunals, both in led teams and in her own right. She is often instructed in complex commercial matters with an international element. Recent work has involved jurisdictions including the Isle of Man, Cayman Islands, Jersey, Mauritius, Andorra, Switzerland, Italy, Russia and the Marshall Islands. Trusts and private client, including large offshore disputes in jurisdictions such as the Isle of Man and Hong Kong. Commercial disputes involving claims for breach of contract, misrepresentation and breach of fiduciary duties. Arbitration, and the enforcement of foreign arbitration awards in England. Regulatory disputes, including acting for the Financial Reporting Council and the Pensions Regulator. Professional liability including claims against solicitors and auditors. Acting for several offshore trustees in a long-running and multi-jurisdiction dispute involving allegations of sham, led by Robert Ham QC. Acting for the successful defendant in a fraud, misrepresentation, breach of fiduciary duty and breach of contract claim relating to a failed Moroccan property venture, led by Stuart Isaacs QC and Nicholas Cherryman: Baturina v Chistyakov  EWHC 1049 (Comm). Advising and acting for a litigation funder in relation to the enforcement of an arbitration award made in New York, involving Brazilian parties. Acting for the Financial Reporting Council, led by Javan Herberg QC and Nicholas Medcroft, in disciplinary proceedings for misconduct against PricewaterhouseCoopers LLP and a senior audit partner relating to the former Connaught group: Executive Counsel to the FRC v PwC and Harrison. Advising offshore trustees (as sole counsel) in relation to their defective appointment and ratification of past acts carried out in the 10 years before the defect was discovered. Advising offshore trustees in relation to an exclusive jurisdiction clause contained in the trust instrument, led by Robert Ham QC. Acting for a litigation funder in fraud proceedings involving complex proprietary and tracing claims, led by Marcia Shekerdemian QC. Acting for the Pensions Regulator in a claim involving allegations of misuse and misappropriation of pension scheme assets, and pensions liberation, led by Jonathan Hilliard QC and James Walmsley. Appearing in her own right in winding up and bankruptcy proceedings. Appearing for the claimant in a fraud claim, led by Lexa Hilliard QC, involving allegations of misappropriated company assets by a trusted employee over a substantial period of time. Before joining the Bar in England & Wales, Elizabeth practised as a barrister and solicitor in Western Australia. She completed her studies in 2009 at the University of Western Australia with a double degree in Law (first class Honours) and Commerce (majoring in Investment Finance). Elizabeth completed a Judicial Associateship with the Honourable Justice Newnes JA in the Supreme Court of Western Australia (Court of Appeal) in 2010 and was admitted to practice in Western Australia in 2011 where she worked for Corrs Chambers Westgarth. Elizabeth spent two years at Exeter College, Oxford completing the BCL (Distinction) and an MPhil (Distinction). 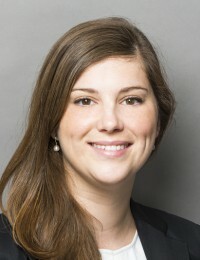 The focus of her research work was on proprietary remedies for breach of fiduciary duty, including detailed analysis of the Supreme Court decision in FHR v Cedar Investments and equivalent Commonwealth authorities. She was called to the Bar in England & Wales in 2014.